Something very important to American music is going on right now. A couple of weeks ago there was a preview as David Letterman had The Foo Fighters playing at the show’s end every night for a week with remarkable guest artists. Ann and Nancy Wilson of “Heart”, Zak Brown rendering a thundering rendition of a Black Sabbath song, Rick Nielson of “Cheap Trick”. Each of these productions is simply incredible and predictive of what’s coming next. Dave Grohl and Foo Fighters are spending a week in each of eight cities, each with a specific musical heritage to absorb the unique vibes, then write a song at the end, the lyrics of which are gleaned using only quips and memorabilia learned by interviewing local musicians during the week. One side of the ledger is things learned, the other side lyrics cut and pasted from the experience. Grohl paired the music and documentary to give substance and depth to the final song, making for a tight emotional connection. First city was Chicago where the Grohl explored the evolution of Chicago Blues and the legendary Buddy Guy, then the evolution of the punk rock scene that influenced many of the Chicago musicians. For the final song, they’re joined by Cheap Trick’s Rick Nielson to record the first song for “Sonic Highways”. The second city is Washington, DC, home of most of the American punk scene in the early 70s. Punk band Bad Brains and Ian MacKaye of Teen Idles, Minor Threat and Fugazi, who all recorded at Inner Ear Studios in DC over the decades. Virginia-raised Grohl says that vibe “produced the entire soundtrack of my youth,” and he dwells on the punk scene of each city. The “Punk” scene permeates all of American music, including early Nashville and Austin, Tx music. The American punk scene was remarkably different from the coincident European punks, a reaction to unemployment. The American punks embraced the concept of absolutely no limits in musical expression. Anyone anywhere could stand on stage and try their luck. By the sheer volume of those playing, a lot of creative music congealed and emerged. Third city was Nashville and interviews with still productive country greats, Dolly Parton, Tony Joe White, Willie Nelson, and Emmylou Harris. Fourth city was Austin Texas, home of Austin City Limits, as exploration of the ingredients that brought legendary Stevie Ray Vaughn to greatness. Gary Clark Jr. Joins the Foos for the final songs “What Did I Do? And God As My Witness”. This is some of the best music I have ever heard. The final product, four cities yet to go, will be a very interesting interpretation of how environments shape music. This has never been done before. 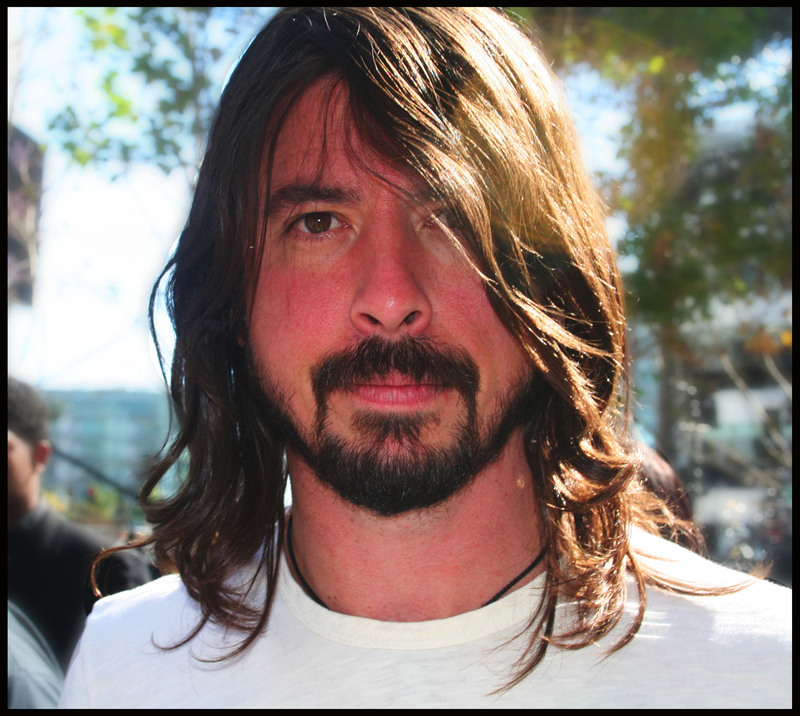 Dave Grohl believes that all music can eventually be traced to a central origin that nurtures and modulates it and he’s working very hard to explore that path. The best way to explain the concept is to postulate the repository of music as an unstable star in the universe of existence, undulating and straining but not ready to explode just yet, waiting for the right stimulus. Back in the 40s, big band music was simple and staid, feeding upon itself. In the 50s, a fundamental instability began with skiffle in England that created the Beatles In the USA, be-bop and rhythm & blues, Gene Vincent and the Blue Caps, Little Richard, Jerry Lee Lewis and of course, Elvis. All of this boiled to the surface to bring the star to an explosive point in the early 60s, setting the stage for the cataclysm that occurred in the second half of the 60s when it all literally and metaphorically went electric. A musical revolution never before dreamed of and will probably never be seen again. The star erupted sending chunks of musical expression out into the abyss. Lets make a quick & dirty list of just a few the blinding chunks flying forth to change the fundamental nature of music. Hendrix, The Animals, the Zombies, The Kinks, Cream, the Doors, Pink Floyd, The Velvet Underground, The Rolling Stones, Frank Zappa, Otis Redding, Creedence Clearwater, The Byrds, Simon & Garfunkle, Janis Joplin, James Brown, Miles Davis, The Who, Sly & the Family Stone, Paul Butterfield Blues Band, Buffalo Springfield, Procol Harum, Paul Revere & Raiders, Hollies, Dave Clark Five, Neil Young, Steve Miller Band, The Guess Who, Roy Orbison, Them, Beach Boys, Steppenwolf, the Temptations, Blood, Sweat & Tears, Jackie Wilson, Sam Cooke, Marvin Kaye, Jefferson Airplane all at once. Each of these chunks shone brightly and independently, eclipsing other nuggets in similar situations. But in the end, like real stars, gravity rules and all the chunks were slowly drawn back into the mass of the star by gravitational pull, stabilizing it into a huge mass of encyclopedic, heterogeneous, eclectic sound and tone. There is no more critical mass. The star now allows a solar wind to emit from its surface, a temporary swell of unfiltered music that waxes & wanes in time. Disco, Britney Spears, Justin Bieber, “American Idol”,‘The Voice”, any black female singer with ironed hair. They’re all out there wafting around at the whims of the desultory solar mini-eruptions. The solar wind occasionally allows some bright spots. There’s a lot of incredible music out there and if you seek it, there is one rule. Don’t follow the money. The money will lead you to hype, glitz and an empty box with a Kardashian brand on it. The performers that we’re still listening to pushing 50 years later wandered into Nashville or San Francisco on foot, broke with a Taylor or Telecaster strung over their back and played for five drunks in a dark bistro. They all shared one commitment and that was absolutely no compromise. The music was what it was and would not be altered for any commercial advantage. It was all about the music. They didn’t care if they starved as long as someone was listening. These are the musicians I want to hear and you want to hear. That’s where the creativity is. The innovation, initiative, inspiration, artistry and vision. The further you get away from money, the better it gets. The one big paradox in American music is the ascension of mediocre talent to big money. No performer illustrates mediocre voice talent more than Taylor Swift. I’ve heard equal voice talent in local bar band singers. As it pertains to the nuts and bolts of voicing, tone and ear worthiness, Ms. Swift cannot stand on the same stage as Sharleen Spiteri of the Glasgow band “Texas”, who in 25 years continues to enjoy only local UK exposure. Ms. Swift’s latest album of sophomoric personal narratives, “1989” sold 1.287 million copies in its first week, debuting at number one on the Billboard 200 and making Swift the first singer act to have three albums sell more than one million copies in a week. Postulating that talent must (eventually) equal success, it’s difficult to explain how this can be. The unfortunate reality is that lack of talent does not necessarily equal failure once marketing becomes involved. This is because the ears of the general public are mercilessly commuted by aggressive marketing techniques blending visual images into the mix. Taylor Swift is an exceptionally attractive blonde young woman with a great body. Savvy marketers have worked this to the max and it’s extremely rare to see her without a full regalia of Avant guard clothing and makeup. Her concerts are full of frenetic flashing lights, glitz and costume changes. This product was created and tweaked by legions of experts to focus on a specific audience; probably teen and especially pre-teen girls (see Britney Spears elsewhere). Looking at the big picture, selling “millions” of records isn’t that impressive compared to the number of listeners out there, especially ones that don’t purchase records. Recently, Charlie Rose interviewed actor Jake Gyllenhaal regarding his new film “Nightcrawler”. The conversation about a sociopath that creeps around Los Angeles at night photographing violent, salacious activities and selling them to local TV stations. The question of who could possibly be interested in such things arose. The answer was interesting. Back in the 60s, television news was immune from TV station merchandizing for profit. This changed somewhere along the way and the news section was expected to generate a profit. This quickly produced what we see now on every local TV station in the country. Roving reporters looking for anything that might possibly be of interest to a population of jaded viewers bored with life in general. Weepy mothers decrying their kid shot dead just minding his business in the middle of a high drug exchange area at 3 am. Vivid car accidents. High visibility court cases, especially involving sexual infidelity. This is news? No, it’s entertainment and it draws viewers, which draws sponsors, which generates money. It is an inalterable fact of life. In section three of Dave Grohl’s monumental HBO series “Sonic Highways” (Friday nights 11pm), Dolly Parton candidly discussed the poisoning of talent by progressive “business” practices fomented by bean counting money experts who have nothing to do with music. Nashville used to be a town where raw talent could arrive, pay their dues and eventually find at least sustenance and possibly fame. Nashville is no longer about singer-songwriters. It’s about songwriters writing songs for singers who fit the profile for the proper amount of glitz and showmanship to generate money. The song matters less than the milieu of how it’s delivered, passing a gauntlet of financial and marketing experts who know moneymakers when they see them. Dolly opined that if she walked into Nashville today, no one would give her the time of day. It naturally follows that Taylor Swift started out in Nashville. She worked it for years, plying the potential to make money while delivering at least a serviceable vocal product. For years the mentors gently nurtured her into a product that would fill the bill. None of this had anything to do with vocal talent. It was leaping onto stage from spring loaded boxes, dressed to show her figure as provocatively as possible and warble to the flashing lights and a swell of electrified instruments. She learned her lessons very well, and as of this week, continues to learn them from the legions of business managers that surround her. In removing her material from Spotify (a realistically priced music streaming site), she remarked: “I’m not willing to contribute my life’s work to an experiment that I don’t feel fairly compensates the writers, producers, artists, and creators of this music.” Other critics suggest this move will generate more short-term dollars from fans forced to purchase her new album. So the new flavors of popular music have quickly moved to sacrifice widespread listeners of their music for a higher marginal price to disseminate each portion of it. Unclear where this will end if it ever does. In the days of singer-songwriters that strode into town, broke, unwashed, wrote their own music, stood on stage with minimal if any accouterment, played for endless hours for drinks and refused to compromise even a little are clearly over. This is where genius resided. The only environment that can nurture genius. If there are any more Kris Kristoffersons, Willie Nelsons, Steve Earles, Emmylou Harrises, Waylon Jennings we may have to catch a seat at the historic Bluebird Café to see them. There will be plenty of Taylor Swifts for sale. Just some desultory thoughts while I watch my leg heal. This entry was posted in Concerts, Movie Reviews. Bookmark the permalink.